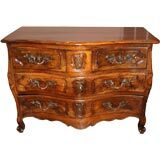 This French 18th Century Walnut Commode is no longer available. A Dutch bombe commode of generous proportions and profusely decorated with marquetry depicting foliage, mythical beasts and butterflies. The gilt bronze handles intricately cast. 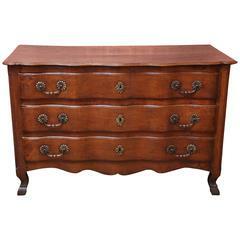 French walnut commode with bronze hardware, circa 18th century. Shapely 18th century French walnut commode. 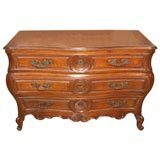 Antique French 18th century walnut commode. 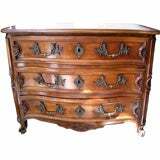 18th century French walnut bowfront commode, circa 1790.